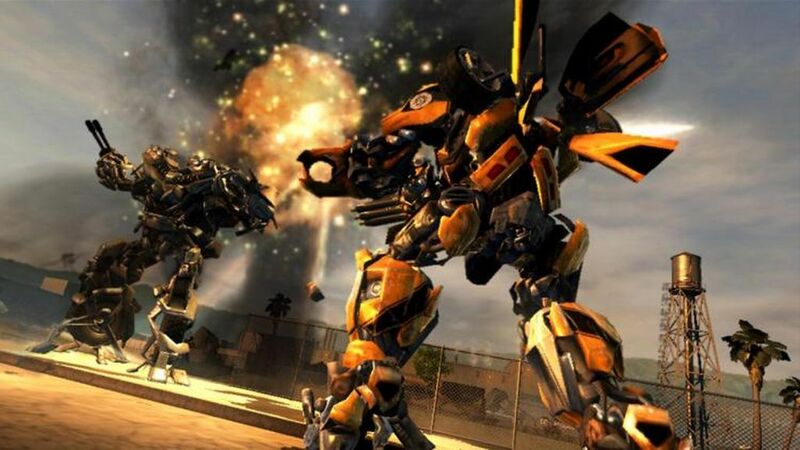 The Transformers game based on the 2007 movie was a game only a die-hard fan could love, but this sequel is on my short list of good games based on movies. It has its flaws and it doesn�t tell a profound story, but it�s fun and does the story justice better than the movie. There are no racist caricaturobots in this game, and the language is (as the ESRB rating on the box says) mild. The game�s ESRB rating is T for teen, but I would go out on a limb and say this one�s safe for the kids. That is something that I can�t say for the movie. The Xbox 360 and the Playstation 3 versions are basically the same, and I didn�t notice any significant differences. 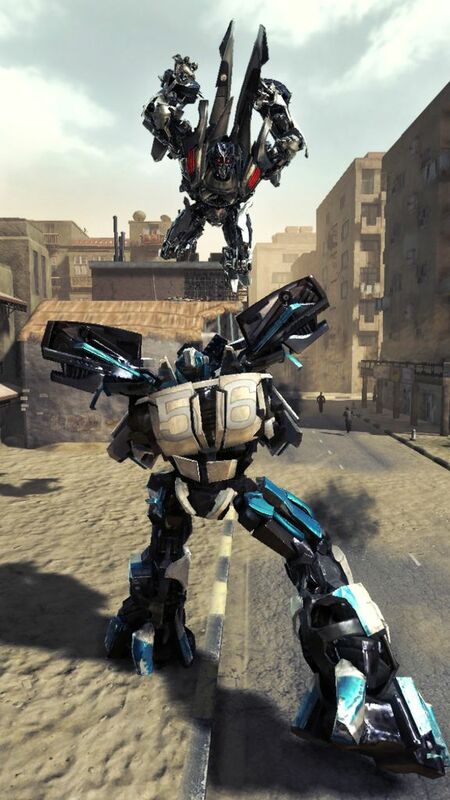 While the last game was a series of open world hubs with destructible environments, Revenge of the Fallen has you select missions from an Autobot or Decepticon war room. The destructible environments are gone, but so are the most aggravating design mistakes from the first game. Developer Luxoflux worked on this version of the game and improved all the things that Traveler�s Tales got wrong in the previous game. The poorly animated CGI cutscenes are gone, the mission types are entertaining, and the combat is actually fun this time. The story is told through the in-game engine, which is much better than the Beast Wars quality CGI used in the last game. It seems like a nit to pick, but it�s reflective of the level of polish put on this game. A lot of time and effort went into every level of this game�s production. The voice actors did a good job, and Peter Cullen, Frank Welker, and many of the movie voice actors can be heard in the game. The dialogue is decent, and the debriefing interactions depend upon how well you did on the last mission. If your accuracy sucked, Prime is going to chastise you for ruining the human�s world, and if you blitzed through it, Bumblebee will get excited. It just demonstrates how much thought went into the game. While these aren�t cutscenes, this might be a good place to mention that there are unlockable episodes of the G1 cartoon on the disc. There are really only a handful of mission types, but each one is enjoyable. There are no obnoxious races or collectathons. The only type of missions that are a little tedious are the satellite repair or destroy missions. However, they are optional, and every mission can be completed in under ten minutes. The campaign mode is really good for picking up and going through a few missions, or replaying older missions for better scores. The downside to short missions is that the single player game can be completed in a day or two, but the missions are fun enough to replay multiple times and there is a multiplayer component to tackle as well. The best part of the game is the combat. That�s what makes the missions fun, that�s what makes the multiplayer enjoyable, and that's what makes it so much better than the last game. In the previous entry, enemy Transformers would block virtually all ranged attacks. The game was a series of melee attacks on an enemy until you knocked it down, lather, rinse, repeat. It was a shame, because all the characters had great ranged weaponry that they couldn�t use. Enemies in Revenge of the Fallen don�t have unbreakable blocks, but that doesn�t mean they go down easily. They will evade shots or run away or flank behind you, and they have enough health that you don�t tear through them like tissue paper. Since the enemies are constantly on the move, the game forces you to mix things up between melee and ranged attacks. The combat isn�t difficult if you play well, but it doesn�t matter when it�s so satisfying. I almost can�t articulate how good of a job this game does at making you feel like a giant metal instrument of destruction. Something that gaming media has criticized this game for is the transformation control setup. When you hold down the right trigger (or R2) button, you transform into vehicle mode. The trick is that the same button controls your acceleration as a vehicle. Press down harder and you go faster, let off and you go slower. The problem some people have had is inadvertently leaving vehicle mode when slowing down. The controls always worked for me. Well, almost always, because I would sometimes transform when I meant to shoot. The right trigger/R2 button is also the fire button, but only when holding down the left trigger/L2. I would pull the right trigger without depressing the left, and transform. The multiplayer mode isn�t just an afterthought. I spent more time on the single player campaign than multiplayer, but the matches I played were good. I think there is a steeper learning curve for this game than other shooters, because the players transform into the vehicles that get them around the maps. It takes time to adapt to how quickly you (and your foes) can get around the map and evade attacks. The only major complaint I have almost doesn�t make sense given the developer�s pedigree. Luxoflux was the developer behind my favorite car combat game ever � Vigilante: 8. Ironically, the vehicular combat in the game is the one part that falls flat and lacks polish. You move too fast and the characters are too small to be able to use vehicle weapons effectively. Vehicle mode is best for getting somewhere quickly or for the advanced melee attacks. I really enjoyed the game, and would recommend it not only to other Transformers fans, but other gamers. 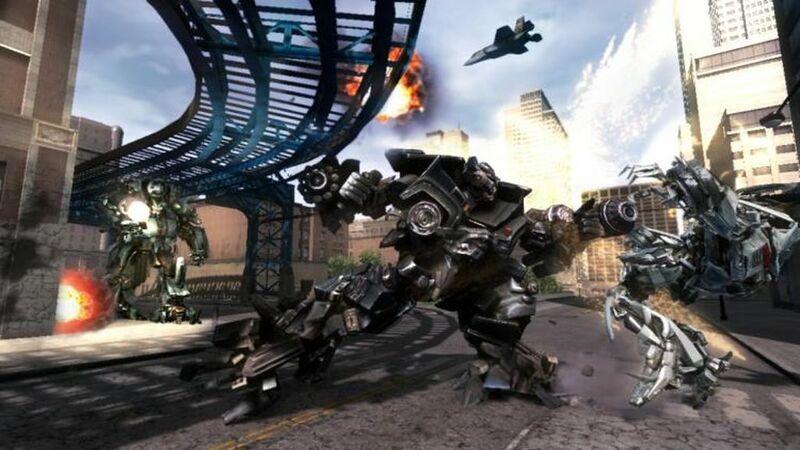 It isn�t just a mediocre movie license game, it�s a good movie licensed game, and a great Transformers game. I would even say this version is better than the Playstation 2 Transformers game based on the Armada series. If you are a Transformers fan, this game is a worthwhile purchase.